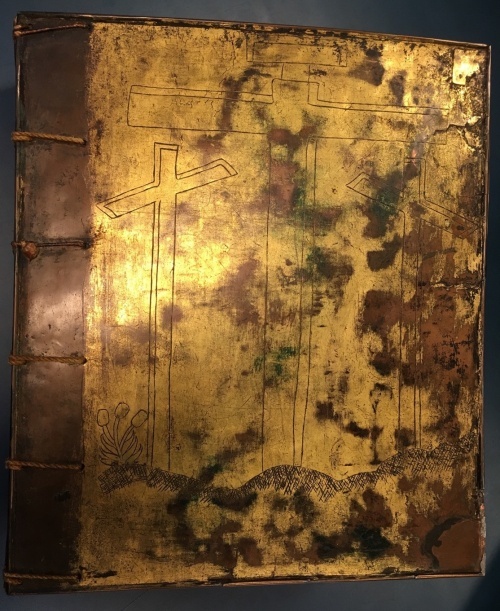 On 5th February, Ambassador Hailemichael was guest speaker at the launch a new display, “African Scribes: Manuscript Culture of Ethiopia,” held at the British Library’s Sir John Ritblat Treasures Gallery. Guests at the reception and private view of the collection included His Grace the Archbishop of Canterbury, Justin Welby, diplomats, academics and senior staff from the British Library. 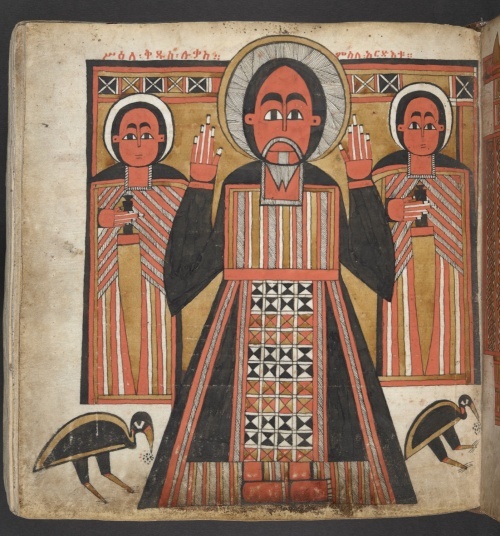 The new display, the first of its kind to be held at the British Library devoted entirely to Ethiopian manuscripts, explores the culture of a manuscript tradition which extends back to the early centuries of the Christian era. 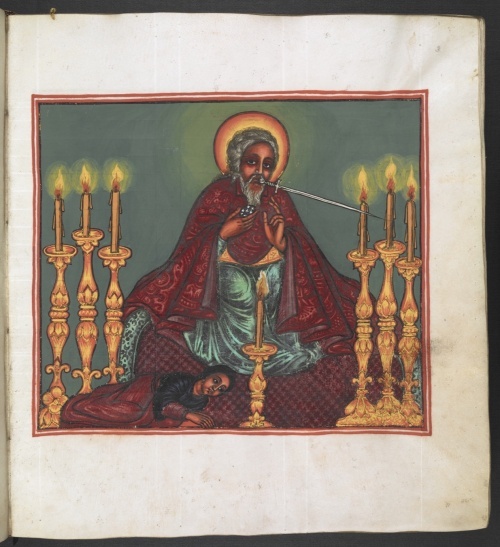 It highlights the intellectual and artistic achievements of Ethiopian scribes, preservers and guardians of the Ethiopian Tewahedo Orthodox Church’s literary output. Recognising the vital role being played by the British Library in the preservation and conservation of Ethiopian manuscripts, Ambassador Hailemichael reiterated that manuscripts serve as a reminder of the power of writing that has travelled through time to retell our history. Ambassador Hailemichael added that preparations are underway in Addis Ababa to hold a week-long international manuscript exhibition and conference titled, “The Written Heritage in the Land of Origins” in October this year. The idea was conceived following the Minister of Culture and Tourism’s official visit to the Library last November. 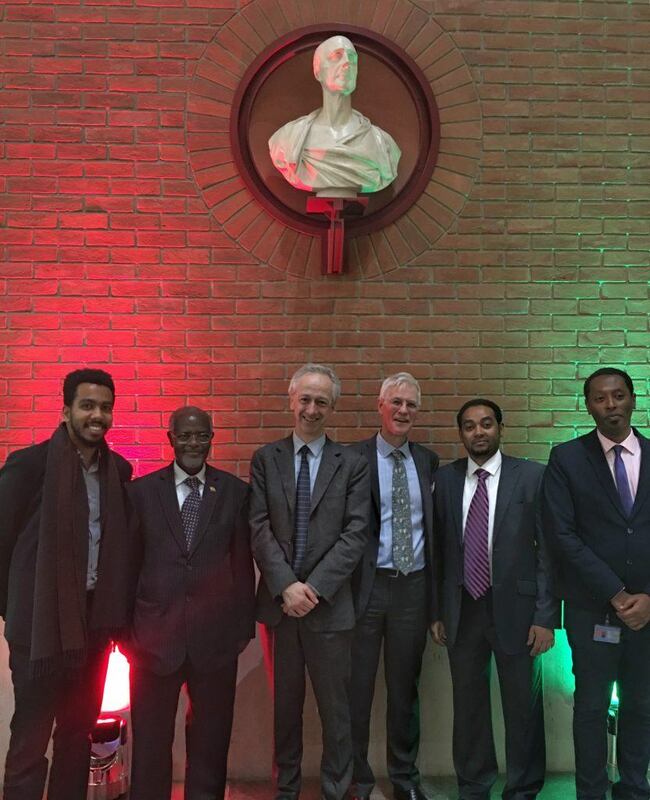 The Embassy will continue its commitment to working with the British Library in the pursuit of facilitating long-term partnerships with all relevant institutions in Ethiopia, the Ambassador said. The launch of this magnificent exhibition could not happen without the efforts of Mr. Eyob Derillo, who has shown unparalleled passion and commitment to the preservation and promotion of Ethiopia’s cultural heritage, the Ambassador concluded. “African Scribes: Manuscript Culture of Ethiopia” is open every day from 6th February and runs until 29 April 2018. For further information, visit the British Library website.